Several miles from the world famous Las Vegas Strip is the City of Henderson Nevada. Money Magazine ranked Henderson, Nevada 84 in the top 100 best cities to live. Henderson borders the city of Las Vegas. 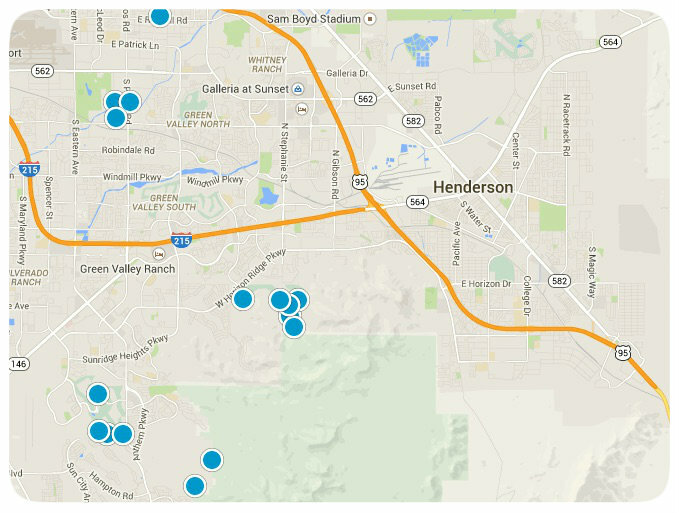 Within Henderson there are numerous master planned communities with great schools and striking mountain views. 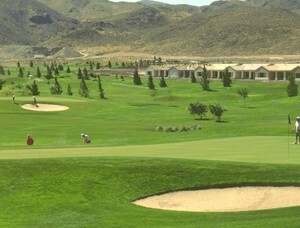 Communities such as Anthem Country Club, Calico Ridge, Green Valley, Green Valley Ranch, Hillsboro, Inspirada, Lake Las Vegas, MacDonald Highlands, MacDonald Ranch, Madeira Canyon, Monticeto, Palm Valley,Paradise Hills, Seven Hills, Silver Springs, Southfork,South Valley Ranch, Sun City Anthem, Sun City MacDonald Ranch, Sunridge at MacDonald Ranch, The Bluffs,Tucson Trails,Tuscany Residential Village, Whitney Ranch, Champion Village, and Black Mountain Vistas, hold some of the highest property values in the state of Nevada. Thirty miles of biking and walking paths connecting neighborhoods and schools are just a touch of the highlights of living in Henderson. Some of the most popular Hotel Resorts and Casinos are to be found in Henderson. There is a number of major shopping malls, outdoor amphitheaters, movie theaters and restaurants that offer residents a variety of choices. Henderson supports the arts and many cultural programs. Henderson hosts many events throughout the year such as Shakespeare in the Park, concerts, art and holiday craft shows. The city also prides itself with the high number of parks and recreational facilities in Nevada. The largest recreational facility - the Henderson Multigenerational Center has an indoor and outdoor pool as well as a water park filled with water features and spiral fun slides for all to enjoy in the summer heat. The city supports a variety of other cultural events as well, many of which are held at the outdoor amphitheater, the largest one of its kind in Nevada. Henderson is located just a few miles from McCarran International Airport; and has its own Henderson Executive Airport. Spectacular Green Valley area home, with no HOA. Single story 4 bedroom, with 2 living areas, private backyard. This one will sell fast!! !